Freedom HIV/AIDS, the mobile phone games initiative to combat HIV/AIDS in India and Africa has won the global Changemakers competition on "Why Games Matter: A Prescription for Improving Health and Health Care". The project was declared the most innovative health based gaming project from a diverse group of organizations from across the globe that have showcased their most successful strategies to transform health and health care in the "Why Games Matter" competition. Click here to view the award website. ZMQ Software Systems was awarded TERI GTZ Corporate Award 2007 for Business Response to HIV/ AIDS in recognition of its corporate leadership for HIV / AIDS intervention in Indian industry on May 23, 2007 at New Delhi. ZMQ Software Systems won the Manthan Award 2007. The project "Great Escape" wins the India best e-Content in the category of e-Entertainment. The Manthan Award 2007 Grand Jury members brings along with them rich and diverse experiences in fields cut across biotechnology, ICT to Forest development sectors and was conducted across in 15 different categories. Freedom HIV/AIDS awareness mobile games was commended at the GBC Business Awards 2006 in May 2006 in London, by the President of European Commission John Barroso. Global Business Coalition on HIV/AIDS is the pre-eminent organization leading the business fight against HIV/AIDS, under the leadership of Ambassador Richard Holbrooke. Freedom HIV/AIDS also won the Manthan Award - India's best e-Content 2006 in the category of Mobile Content. Manthan Award is organized under the framework of World Summit on the Information Society (WSIS), formed by United Nations to unite the efforts across the world to create Information Society. 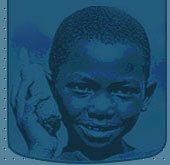 Global Health Council has nominated Freedom HIV/AIDS for best practices in Health for year 2006. The Global Health Council is the world's largest membership alliance dedicated to saving lives by improving health throughout the world.